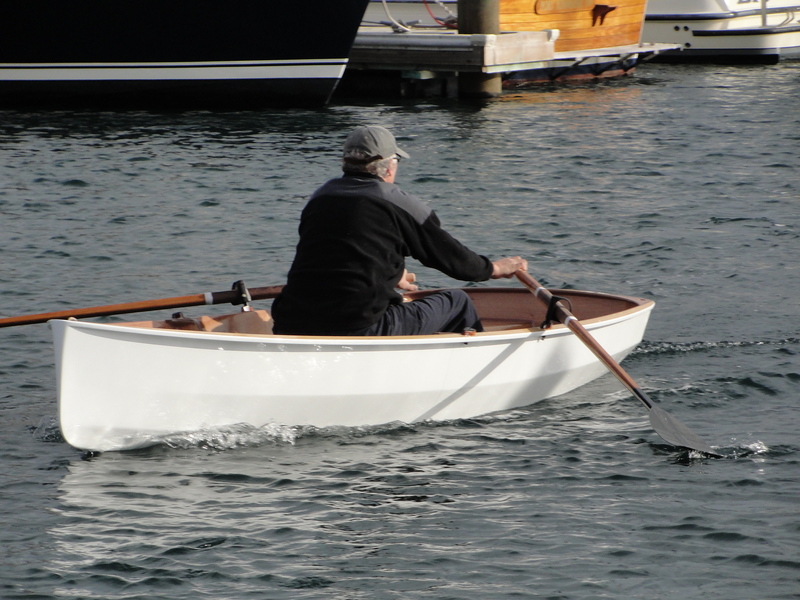 The latest prototype of the nesting dinghy is currently being trialed. NESTED HEIGHT: 19.5" at one end, 16.5" at the other end. We have a SHORT VIDEO of the boat rowing and of assembly in the water. Next, we are making a road trip to California with the boat in the back of our little Toyota truck. We are making a tour of some of the smartest people we know to get their input before finalizing the details of the design. The next and final prototype will reflect minor changes from this one, that are intended to increase performance, ease of construction and lower production cost in an effort to keep the kit price attractive. For now, in spite of a list of creative names, we are tentatively calling this boat the PT 11. We are inviting everyone interested in this boat to send in their suggestion for a design name, keeping in mind that it will eventually have sister designs of different sizes. If we decide to use your suggestion as the market name of the boat, we will give you a nice discount on a kit.